This is the preface to my forthcoming book that I am writing with my co-author Jasmine Alam. I’m excited to share it with the Thrive community! I hope you enjoy. I don’t know about you, but one of the most memorable moments of my childhood is sitting on the front stoop of my house on a warm summer night watching fireflies. The neighborhood children would gather on our front lawn at dusk waiting patiently for that first glimpse of light. We would watch these beautiful creatures dancing in the night sky, lighting up from within, lights flashing on and off, trying to see if we could anticipate where they would light up next. At times, we would try and catch the fireflies, in a way, attempting to capture that source that allows them to illuminate from within. Where does it come from? What makes them glow? It all seemed so magical to me. Looking back, I cherish those memories because they remind me of the freedom of youth. The carefree attitude of long summer nights, no responsibility and really being and living in the moment. Not worrying about yesterday, not stressing about tomorrow, but truly enjoying and living life in the present moment. As we get older, the joy of being present is lost and replaced with never ending “to do” lists that come with the responsibility of being an adult. Parenting, relationships and work take precedence over our lives. Hopefully, for most of us, our home life is dedicated to building a happy home, strong relationships, growing our soul and cultivating a strong sense of self. We strive to become better versions of ourselves. At home, it’s important that we read self help books, work on our inner life, strengthen our relationships, take care of our children, go to yoga, etc. We are encouraged to bring emotions such as love, compassion, empathy and gratitude to our home life and to our relationships. Our well being is a top priority. 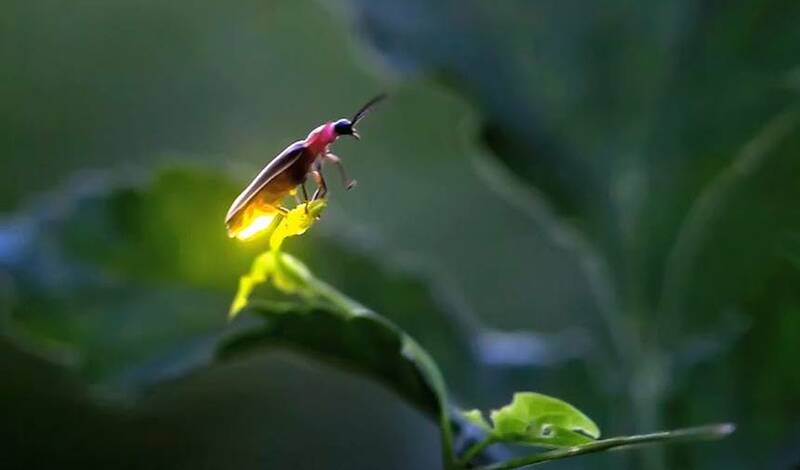 If you think about it, in our personal lives we are all attempting to be like fireflies, lighting up from within and shining our light on everyone we meet. We feel comfortable in doing this and actually strive to be like a firefly at home and in our relationships. We adopt a “Firefly Culture”, if you will, in our personal lives. However, when we get to work and step through that front door, all that changes. Our culture at home does not mirror our culture at work. At work, it’s ingrained in us to hide our emotions, to dim our light and just do the task at hand. Put our heads down and plow through the workday. At times, it seems easier to just drink the Koolaid, collect our paycheck at the end of the week and call it a day. Then, on the weekends we can go back to cultivating a life that we are truly proud of. A life that allows us to shine from within. But what if we decided to bring our inner light to work? To shine in the midst of darkness? To transform our culture at work into a “Firefly Culture?” A culture where we are not afraid to bring love, compassion, empathy and gratitude to our coworkers, our employees, and our clients. Do you think it might make for a more meaningful and productive work life, both for ourselves and the people around us? So the question becomes.. If this is so, how exactly do we integrate this “Firefly Culture” into our work lives? How do we drive the business, meet our sales goals, focus on giving great customer service, empower and motivate our employees AND remain rooted in the present moment, proudly shining our inner light? It starts with a concept called Mindfulness. Mindfulness at its core simply means to be present, aware and not lost in thought. Recently, Harvard researchers have concluded that we are lost in thought almost 47% of the time. That’s almost half our waking existence! This is by no means insignificant and a practice to reduce this percentage must be top priority if we are to excel and thrive in all aspects of our lives. We can do this with a commitment to a consistent mindfulness practice. To be perfectly clear, mindfulness is not something we have to attain or try to achieve. We simply need to learn how to realize when we are lost in thought and gently, but firmly, come back to the present moment. It takes practice and patience. Now, mindfulness will not change the events of our lives, but it will transform our interpretations, experiences and relationships to those events. It won’t fix us, but it will help us understand our own minds and if we can have a better understanding of our own minds, we can start to understand others, including our employees, coworkers and clients. It’s the equivalent of flipping the light switch in the dark and seeing everything more clearly. If we can practice mindfulness consistently, we can transform our workplace into the place it deserves to be. A place that is heart centered, healthy and restorative. A place where we can shine brightly and illuminate everyone and everything in our path. We can all have a “Firefly Culture” at work. I think the firefly has much to teach us… All we have to do is remember to be the light.